I’ve been thinking a lot about this topic the past week. My thoughts are based primarily on observation, not an in-depth research and analysis. In the U.S., it is my observation that among the vast majority of married couples, with or without children, both partners are employed. This is not necessarily voluntary, but often a financial requirement in order to generate sufficient income to cover housing, food, and general living expenses. It’s a practical requirement for those who raise children, save for the few that have a very high-paying job. Stagnant wages and rising costs have reduced the earning power of workers in the U.S. This is one factor in the decline of stay-at-home parents in two-parent households in the U.S. from 45% to 29% since 1975. 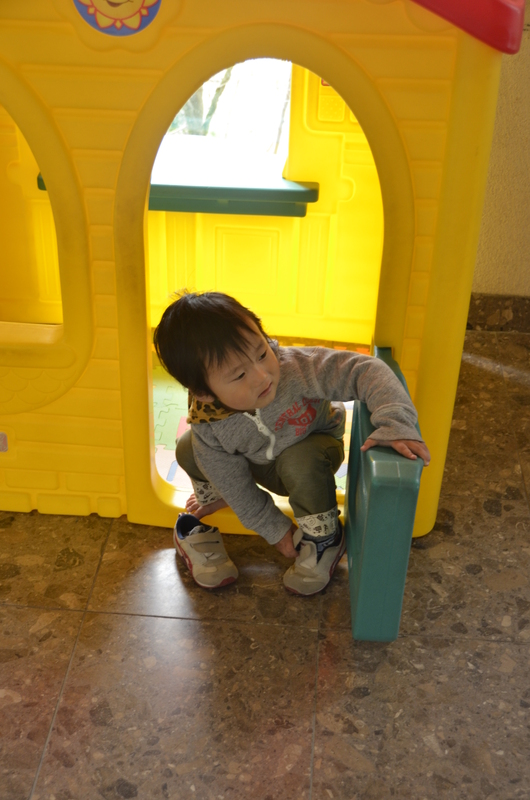 In Japan, it appeared to me that at least half of the children I saw had a stay-at-home parent. One large family had two sisters, both married and both with a couple of children under age 10. One worked full time, the other stayed home and took care of both sets of kids. Although prices in Japan generally seem expensive (even with a favorable exchange rate), it appears the middle class in Japan has not felt the constantly increasing squeeze that the middle class in the U.S. has faced over the last 40 years … despite what appears to be a very low minimum wage (on par with the U.S.). How is this possible? I am guessing there are several reasons the middle class might be faring much better in Japan than in the U.S. Given such limited space, there’s no room to buy a lot of stuff. Rather, Japanese appear to prefer spending their money on fewer possessions of higher quality as opposed to something that will be soon ignored, stored, or discarded. I already touched on this preference of quality over quantity in an earlier posting about food. People do not risk bankruptcy as a result of serious illness or injury in Japan. 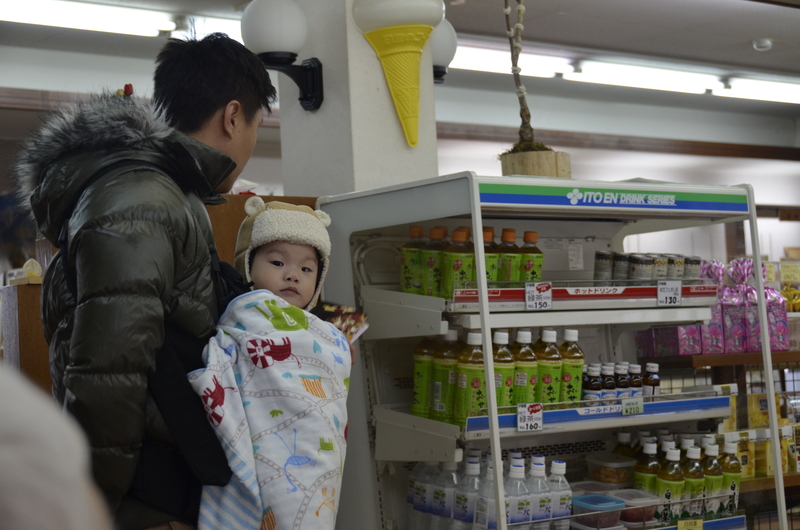 Of course this does not make Japan unique: The majority of first-world nations offer significantly more free or reduced medical coverage, paid maternity (and paternity) leave, and support for the needy than we do. 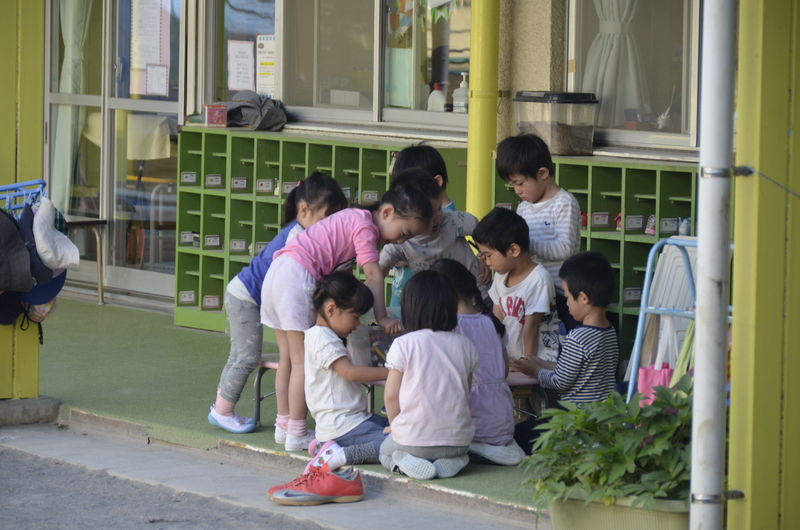 Japan offers public and private day care, and some local governments provide partial reimbursement for private day care. The U.S. stands alone among its peers in terms of services provided by its social safety net. Like many first-world countries, income inequality rose during the past quarter century, though not as dramatically in Japan as in other countries. The top 1% of Japan take in around 9% of the income (excluding capital gains), compared to 17% in the U.S., and it appears the percentage absorbed by the top 1% in Japan is actually falling. CEOs in Japan earn, on average, about 67 times the average worker, compared to 354 times in the U.S. An extraordinary CEO in Japan is the head of Japan Airlines, who in navigating the company out of bankruptcy has cut his own benefits and salary to less than what some of his airline pilots earn. This is by no means a rigorous analysis of the economics of the middle class in Japan. But I was impressed with the number of couples and families in which I saw the economic possibility of staying at home to care for and raise the children, and I am trying to understand how it is possible. The above are some of the potential reasons I came up with, but I welcome any comments, articles, or analysis others can offer to explain this situation. If I may, Toby you raise some interesting points. I have been a stay at home parent for 17+ years. In that respect I believe I can offer at least one point of view from an American who has managed to live on one paycheck during that span of time (we started in 1998). I believe that many more couples could manage the feat, but there are a variety of reasons why people don’t. Moreover, I believe people often use lack of money as a convenient excuse (in my experience at least) and it is far less a truth. To begin, being an unemployed primary care-giver to your children (and spouse/SO) is a multifaceted “occupation”. Few are prepared for the task and even then the hours, pay, and prestige are lacking to say the least. It is quite a rare person who can tell themselves that the task is wholly meaningful and fulfilling at 3am when I child is sick. You are on the clock 24/7, 365 unless you get a short reprieve, but even then…you’ll hurry back to it uncontrollably. Let me be frank, The reality is that staying at home with the children (while deeply rewarding, eventually) is a lonely job that is rarely one which garners accolades. Everyday other people are building their careers, accruing recognition/revenue, while you’re quietly folding clothes or making beds by yourself. My point isn’t to over-dramatize my experience. My last 17 years was spent very happily it’s just I didn’t know it until much later. What it doesn’t do is propel you to the upper echelon of social status…especially if you’re a man as I am. In fact, you’ll get to know a whole new level of ostracism and disregard. It may sound sympathetic and, for a time, may occlude guilt but I have found the majority of those people I have known really just don’t want to because it’s a huge amount of work coupled with, what seems like, few tangible rewards. In fact there is a substantial savings in one parent not working, but that’s another discussion. Your blog posting about Japan’s middle class is interesting and one that I wish more people would analyze for themselves. Having said that, it’s important to keep in mind that America is not culturally homogenous. This much-neglected reality is a key to examining our countries challenges in comparison to another country’s successes. If you are interested in details about how we managed on one (very median) paycheck in the early years, feel free to ask. I’d also like to emphasize that what we are really talking about here are priorities, goals, and the valuation of the two. One might hypothesize that the importance of family, the very young, and the eldery are of greater value to a higher percentage of Japanese than they are valued in America. Contrary to what many believe, people do what is important to them regardless of circumstance. If it’s not happening, people don’t think it’s important (imo). I had a few other points about income inequality & safety nets but I was afraid I might run out of words. I have a few reactions to your lengthy comment, although mine will be much briefer. I applaud your success with the choice your family has made to have you stay at home and raise your children. I agree that many more could afford than believe or are willing to admit. Nevertheless, the economic demands placed on U.S. families today are much greater than they were a generation ago. I marvel at what my parents were able to accomplish in the ’60s to the ’80s raising their children, and I don’t believe they could have done it today. I surely don’t believe I could have, in their shoes, in the present day. Your point about the heterogeneous population of the U.S. society is a common refrain and one that I believed and argued for decades. Certainly compared to Japan the distinction is stark. But arguing that the challenges faced by the U.S. are bound to our heterogeneous population loses credibility when we compare the U.S. with many European countries. Previously the same argument could be made: the U.S. faces unique challenges due to its uniquely heterogeneous population. With great rises in immigration to many European countries, however, the U.S. no longer holds that unique distinction. Therefore, other reasons must be examined. 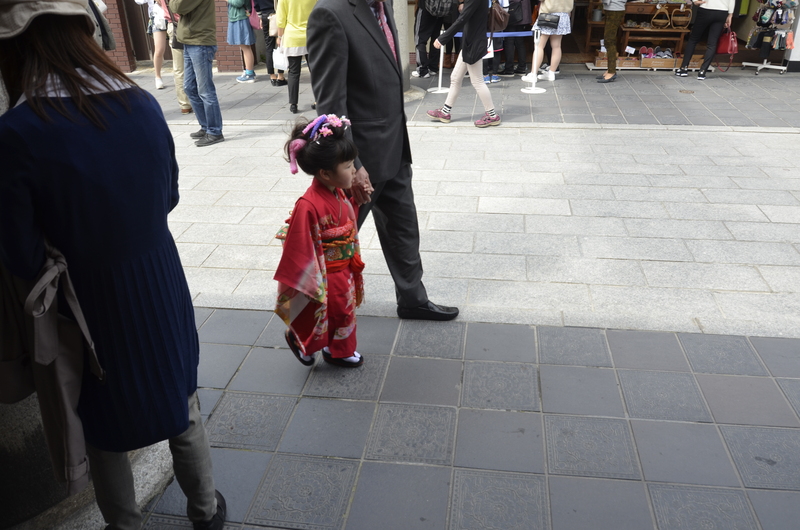 Much has been discussed about the singular aspects of Japanese culture with regards to respect and caring for the elderly. Many believe fureai kippu could not work in other countries that lack similar cultural values. That may be true. On the other hand, the rising cost of taking care of a growing elderly population may drive other countries to adopt a similar solution motivated not out of cultural fealty, but economic necessity.